Mental illness can be described in a variety of ways. The American Heritage Dictionary (4th edit., 2000) describes it as: "Any of various conditions characterized by impairment of an individual's normal cognitive, emotional, or behavioral functioning, and caused by social, psychological, biochemical, genetic, or other factors, such as infection or head trauma. Also called emotional illness, mental disease, mental disorder." Mental illnesses are medical conditions that disrupt a person's thinking, feeling, mood, ability to relate to others and daily functioning.Serious mental illnesses include major depression, schizophrenia, bipolar disorder, obsessive compulsive disorder (OCD), panic disorder, post traumatic stress disorder (PTSD) and borderline personality disorder. Insanity or mental incompetency is a severe form of mental illness and is addressed separately by the legal system. Inmates who are insane, that is, so out of touch with reality that they do not know right from wrong and cannot understand their punishment or the purpose of it, are exempt from execution. The Supreme Court held in Ford v. Wainwright (477 U.S. 399 (1986)) that executing the insane is unconstitutional. However, if an inmate's mental competency has been restored, he or she can then be executed. Inmates who are intellectually disabled (mentally retarded) also cannot be executed. Inmates who are mentally ill, but not insane, have no such exemption. American Bar Association Resolution 122A and accompanying article on exempting those with severe mental illness from the death penalty, August 8, 2006. An almost identical resolution has been endorsed by the American Psychiatric Association, the American Psychological Association, and the National Alliance for the Mentally Ill.
ACLU: Mental Illness and the Death Penalty: Background information, including the various points in a case at which mental illness is an issue, descriptions of Supreme Court cases, and current legislative action. "The Execution of Mentally Ill Offenders," Amnesty International Report, January 31, 2006. A. Dillard, "Madness Alone Punishes the Madman: The Search for Moral Dignity in the Court's Competency Doctrine as Applied in Capital Cases," 79 Tennessee Law Review 461 (2012). F. Bordenave, MD and D. Kelly, MD, "Death Penalty and Mentally Ill Defendants," (Journal of the American Academy of Psychiatry and the Law, 2010). This article discusses two recent cases in the state Supreme Courts of Florida and Georgia which address the issue of whether mental illness is a bar to execution. A. Taslitz, "Mental Health and Criminal Justice: An Overview,"
Prof. Taslitz, special issue editor, introduces the magazine’s symposium topic on mental illness and the justice system, including highlights of each article. C. Slobogin, "The Supreme Court’s Recent Criminal Mental Health Cases Rulings of Questionable Competence"
For decades the subject of mental illness and criminal law languished in the legal “backwaters” at the U.S. Supreme Court. That changed in 2003 when the Court accepted the case of Sell v. United States (a defendant’s right to refuse medication), followed quickly by two more seminal decisions in Clark v. Arizona (2006) (the scope of psychiatric defenses) and Panetti v. Quarterman (2007) (the definition of competency to be executed). But has this sudden interest in mental illness issues resulted in good law? The author argues to the contrary and details where and how the Court has erred. G. Nora, "Prosecutor as “Nurse Ratched”? : Misusing Criminal Justice as Alternative Medicine"
Traditionally, prosecutors approach claims of mental impairment by criminal defendants with skepticism, contesting competency defenses and sentencing mitigation. More recently, though, they find themselves as “diversionary gatekeepers”— seeking alternatives to trials and prison for those who more aptly belong in the medical arena. The author, a Cook County ( Illinois) state’s attorney, finds neither role satisfactory and argues for reforms that will limit a prosecutor’s responsibility for addressing a defendant’s mental health needs through the justice system. M. D’Emic, "The Promise of Mental Health Courts: Brooklyn Criminal Justice System Experiments with Treatment as an Alternative to Prison"
Judge D’Emic tracks the establishment of one of the country’s first courts to use diversionary treatment in dealing with mentally ill criminal defendants. He maps the defendant’s journey from intake through assessment and treatment to “graduation” from the program. M. Mello, "Executing the Mentally Ill: When Is Someone Sane Enough to Die?" An opponent of the death penalty, Prof. Mello presents this personal account of advocating for mentally ill death row inmates. While detailing his clients’ descent into madness and the tortured disconnect between the fantasy world of the insane and a justice system bent on accountability, the author looks at the impact of three high-profile cases. W. Follette, D. Davis, and R. Leo, "Mental Health Status and Vulnerability to Police Interrogation Tactics"
The authors offers a psychological explanation of how police interrogation methods affect the “average” person’s ability to understand and exert his or her Miranda rights and what makes the mentally ill so much more susceptible to police coercion and likely to falsely confess. P. Applebaum, "Death Row Delusions: When is a Prisoner Competent to Be Executed?" (Law and Psychiatry, 2007). An examination of Panetti v. Quarterman. D. Malone, "Cruel and Inhumane: Executing the Mentally Ill," (Amnesty International Magazine, Fall 2005). M. Spinelli, M.D., "Maternal Infanticide Associated With mental Illness: Prevention and the Promise of Saved Lives" (American Journal of Psychiatry Digest, September 2004). D. Parsons, "Untreated Mental Illness Can Be Criminal" - Article covering a defendant's capital case (Los Angeles Times, November 3, 2003). K. Drew, "Executed Mentally Ill Inmate Heard Voices Until End," (CNN, January 7, 2003). Article following the execution of Charles Singleton in Arkansas. L. Mansnerus, "Damaged Brains and the Death Penalty," (New York Times, July 21, 2001). M. Radelet & K. Miller, "Executing the Mentally Ill," book available from Sage Publications (1993). Connecticut exempts a capital defendant from execution if his “mental capacity was significantly impaired or [his] ability to conform [his] conduct to the requirements of law was significantly impaired but not so impaired in either case as to constitute a defense to prosecution[. ]” (General Statute § 53a-46a (h)(3) (2009)). UPDATE: Connecticut abolished the death penalty for future offenses in 2012. Eleven inmates remained under the sentence of death. Other states have proposed similar legislation, though none has been passed. Both Kentucky and North Carolina considered legislation to bar the execution of a defendant who "had a severe mental disorder or disability that significantly impaired his or her capacity to appreciate the nature, consequences, or wrongfulness of his or her conduct, exercise rational judgment in relation to conduct, or conform his or her conduct to the requirements of the law." (Kentucky HB 446, 2009 Regular Session) (North Carolina's HB 553/SB 1075 uses almost identical language to define mental illness.) The wording used here comes directly from the American Bar Association's Resolution 122A. This is not an exhaustive list. Cecil Clayton was executed on March 17, 2015, in Missouri. He was 74, suffered from dementia, had an IQ of 71, was missing a significant part of his brain due to an accident. His attorneys insisted he should be spared because he did not understand the punishment to be carried out. Clayton sustained a brain injury in a sawmill accident in 1972, requiring removal of about 20% of his frontal lobe, which is involved in impulse control, problem solving, and social behavior. After the accident, Clayton began experiencing violent impulses, schizophrenia, and extreme paranoia, which became so severe that he checked himself into a mental hospital out of fear he could not control his temper. In 1983, Dr. Douglas Stevens, a psychiatrist, examined Clayton and concluded, “There is presently no way that this man could be expected to function in the world of work. Were he pushed to do so he would become a danger both to himself and to others. He has had both suicidal and homicidal impulses, so far controlled, though under pressure they would be expected to exacerbate.” In the past decade, six psychiatric evaluations have found that Clayton should be exempt from execution because he does not understand that he will be executed, or the reasons for his execution. However, since his execution date was set, he did not have a competency hearing before a judge that could spare him from execution. An image of Cecil Clayton's brain obtained via MRI can be viewed here. The image shows the front left part of his brain is physically missing. (T. Williams, "Lawyers Seek Reprieve for Killer Who Lost Part of His Brain Decades Earlier," New York Times, March 7, 2015; T. Rizzo, "Missouri lawyers say man on death row is mentally incompetent because of sawmill accident," Kansas City Star, Mar. 8, 2015). Andrew Brannan, a decorated veteran of the Vietnam War, was executed in Georgia on January 13, 2015. Brannan's attorneys asked the Georgia Board of Pardons and Paroles to grant clemency because Brannan suffers from post-traumatic stress disorder and bipolar disorder. A police video from the crime scene illustrated Brannan's erratic behavior. Joe Loveland, one of Brannan's attorneys, said, "There was a direct connection between his service in Vietnam and the violence that he was exposed to there and the ultimate events that occurred here. The basic question really is, should a 66-year-old Vietnam War veteran with no prior criminal record and who was 100 percent disabled under the DA standards, both with PTSD and bipolar disorder, at the time of the murder of the deputy sheriff--should that person be executed?" (Q. Lawrence, "Lawyers Try To Fight Death Penalty With New PTSD Understanding," NPR interview, January 6, 2015). John Middleton was executed on July 16, 2014 in Missouri. On July 15, a federal judge in Missouri stayed the execution of John Middleton, less than 24 hours before it was to occur. The judge was concerned that Middleton might be mentally incompetent, and hence ineligible for execution: "Middleton has provided evidence that he has been diagnosed with a variety of mental-health disorders and has received a number of psychiatric medications over the years," Judge Catherine Perry wrote in her order staying the execution. "[Other] inmates indicate that he frequently talks to people who are not there and tells stories that could not have had any basis in reality." Middleton's attorneys have also introduced new evidence to support his claim of innocence. An expert witness who supported the prosecution's case at trial has now said the murder most likely took place when Middleton was in jail in another state. Kay Parish, an attorney for Middleton, said, "Part of the reason we don't execute people with mental deficits is that they have more difficulty navigating the system. And I think that's very true in this case, and I think that's why he had trouble in the past in getting lawyers or anyone to listen to his claim of innocence or look at this evidence." (C. McDaniel, "Citing Mental Health Concerns, Federal Judge Stays Missouri Execution," St. Louis Public Radio, July 15, 2014). John Ferguson was executed on August 5, 2013 in Florida. Ferguson has suffered from severe mental illness for more than four decades. As far back as 1965, Ferguson was found to experience visual hallucinations. He was sent to mental institutions and was diagnosed as paranoid schizophrenic, delusional, and aggressive. In 1975, a mental health doctor described Ferguson as “dangerous and cannot be released under any circumstances.” Nevertheless, he was released less than a year later. Ferguson believes he is the "Prince of God" and is being executed so can save the world. Ferguson's attorneys recently filed a petition with the U.S. Supreme Court, asserting that Florida courts have applied the wrong standard for mental competency, ignoring the current interpretation of this issue by the High Court, which requires that an inmate have a rational understanding of why he is being executed. An earlier editorial in the Tampa Bay Times opposing Ferguson's execution, agreed, “Florida is embracing an interpretation of competency for execution so pinched that it would virtually extinguish limits on executing the severely mentally ill. 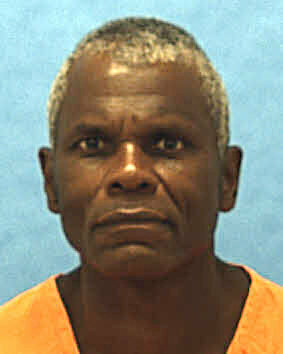 The state says Ferguson is aware that he is being put to death and that he committed murder, and is therefore competent to be executed.” ("Scott Sets New Date For Executing Mass Killer," Associated Press, July 24, 2013; Editorial Board, "State shouldn't execute severely mentally ill killer," Tampa Bay Times, November 2012). Garry Allen was executed in Oklahoma on November 6, 2012. This was the third date set for him this year. Allen's execution has been stayed repeatedly due to questions about his mental competence. He had been diagnosed with schizophrenia as well as dementia caused by seizures, drug abuse, and a gunshot wound to his head sustained during his arrest. In 2008, the Oklahoma Pardon and Parole Board recommended that his death sentence be commuted by a 4-1 vote. Governor Mary Fallin granted a stay in order to consider the Board's recommendation, but denied clemency. Allen murdered his wife 26 years ago, after she had left him and taken their two children. (R. Petersen, "Oklahoma death row inmate set for execution, again," McAlester News-Capital, November 4, 2012). Robert Moorman was executed in Arizona on February 29, 2012. Edwin Turner was executed in Mississippi on Feb. 8, 2012. Turner's attorney, Jim Craig, petitioned the U.S. Supreme Court and Governor Phil Bryant for a reprieve, based in part on Turner's mental illness. Craig said, “The Supreme Court has not decided the question of whether a prisoner with a severe mental disorder or disability which significantly impairs that person’s ability to rationally process information, to make reasonable judgments and to control their impulses, whether people in that category can be executed. So we’re asking the Supreme Court to establish that it would be contrary to consensus of moral values, that it would be cruel and unusual punishment, to execute someone with severe mental illness.” Turner has a long family history of mental illness: his great-grandmother and grandmother were committed to state hospitals. Turner’s mother attempted suicide twice, and his father was killed in an explosion that some believe was a suicide. Turner has also attempted suicide several times, including one instance that left his face permanently disfigured. (J. Eng, "Too crazy to kill? Lawyers try to stop execution of inmate they say is mentally ill," MSNBC, February 2, 2012). Daniel Lee Bedford was executed in Ohio on May 17, 2011. Frank Spisak was executed in Ohio on February 17, 2011. Cal Coburn Brown was executed in Washington on September 10, 2010. Mr. Brown had been diagnosed with bipolar disorder. He asked for a stay of execution on the grounds that, without his medication, he would be incompetent to be executed. Jack Trawick was executed in Alabama on June 11, 2009. Mr. Trawick had been treated for schizophrenia and psychotic disorders since the age of 11. According to the Equal Justice Initiative, "the isolation and lack of stimulation of incarceration proved helpful in permitting him to function with less paranoia and fewer psychotic episodes." 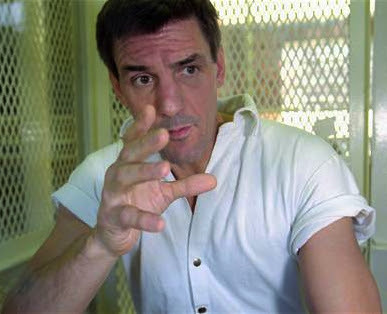 Mark Bailey was executed in Virginia on July 22, 2004. A clinical psychologist testified that Bailey suffered from bipolar disorder, which is characterized by impulsive acts. During his trial, he was given large doses of lithium, which had a sedative effect on him. Jury members stated that his lack of emotion at trial, likely caused by his medication, contributed to their decision to sentence him to death. Kelsey Patterson was executed on May 18, 2004 in Texas despite a 5-1 recommendation by the Parole Board for Clemency. Mr. Patterson suffered from paranoid schizophrenia, and believed that electronic devices had been implanted in his body and were controlling him. Charles Singleton was executed on January 6, 2004 in Arkansas. Singleton stopped taking medication in 1997 and became psychotic, believing that his victim was still alive and that his jail cell was inhabited by demons. He was then forcibly medicated, prompting a series of appeals that culminated with an 8th Circuit Court ruling that he could be forced to take drugs that made him sane enough to be executed. Singleton v. Norris (No. 00-1492) (8th Circuit Decision). Singleton was forcibly medicated to make him sane enough for execution. Condemned Prisoner Treated and Executed," by Alan A. Stone, MD; from Psychiatric Times, March 2004. James Willie Brown was executed in Georgia on November 4, 2003. Mr. Brown's schizophrenia cause him to experience hallucinations and believe that voices of God and demons directed his actions. He was admitted to Central State Hospital several times, beginning in 1968. After being arrested in 1975 for the murder of Brenda Watson, Brown was diagnosed as paranoid schizophrenic, and was treated for 5 years before being ruled competent to stand trial. James Colburn was executed on March 26, 2003 in Texas. Colburn had a long history of mental illness. He said that, at the time of the murder, "I was just in a bad state of mind. I was undergoing bad influences -- voices, illusions -- that were fueling my paranoia." Monty Delk was executed in Texas on February 28, 2002. Delk's lawyer claimed that Delk had become insane while on death row, describing Delk's behavior as "long periods of psychotic thought punctuated by grandiose delusions, incoherent ramblings, and smearing himself with his own feces, interspersed with brief moments of lucidity and compliance." James Johnson was executed in Missouri on January 9, 2002. Johnson, a Vietnam War veteran, suffered from Post-Traumatic Stress Disorder. His appeals claimed ineffective assistance of counsel because his trial lawyer failed to interview prosecution witnesses and presented inaccurate evidence, which destroyed the credibility of Johnson's PTSD defense. Dion Smallwood was executed in Oklahoma on January 18, 2001. During Smallwood's clemency hearing, Dr. Patricia Fleming, a psychologist, testified that she had diagnosed Smallwood with bipolar disorder 5 years after the murder of Lois Frederick. Thomas Provenzano was executed in Florida on June 20, 2000. Provenzano's lawyers sought a delay of his execution in order to allow a psychiatrist to determine his competency to be executed. Provenzano suffered from delusions, including the belief that he was Jesus Christ, and that he was being executed because people hate Jesus. Roger Berget was executed in Oklahoma on June 8, 2000. Larry Robison was executed on January 21, 2000 in Texas. Robison was diagnosed with schizophrenia, and maintained that the murder for which he was convicted was the result of auditory and visual hallucinations. 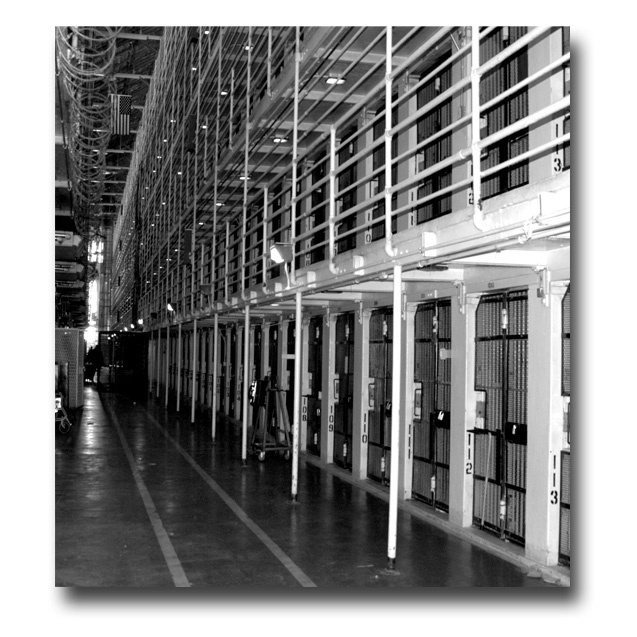 Manny Babbitt was executed on May 4, 1999 in California. Babbitt served in the Vietnam War and suffered from Post-Traumatic Stress Disorder (PTSD) after returning home. He said he did not remember killing 78-year-old Leah Schendel. In November of 2014, as a response to the then-impending execution of Scott Panetti in Texas, Public Policy Research conducted a nationwide poll of registered voters on their thoughts on the use of the death penalty on the mentally ill. The poll found that Americans did not favor using the death penalty on mentally ill individuals by a 2-to-1 margin. Furthermore, this poll found that the sentiment was present across both genders, all political affiliations, and all geographic regions. Professor Robert Smith, an assistant professor of law at the University of North Carolina who commissioned the poll, said, "Today's important polling is part of significant new research which clearly shows an emerging consensus against using capital punishment in cases where the defendant is mentally ill. ... Combining this public polling, sentencing practices, and the recommendations of the mental health medical community, it's clear that a consensus is emerging against the execution of a person like Scott Panetti, who suffers from a debilitating (mental) illness ...." Opposition to the execution of people with mental illness was strong across lines of race, gender, geographic region, political affiliation, and education. Democrats (62%), Republicans (59%) and Independents (51%) all opposed the practice. On June 18, the Ohio Supreme Court stayed Awkal's execution indefinitely following a county court's ruling that he was mentally incompetent to face execution. Awkal was originally scheduled for execution on June 6, but shortly before the execution Governor John Kasich granted a two-week reprieve to allow time for a mental competency hearing. Judge Stuart Friedman presided over that hearing and subsequently ruled that Awkal was too mentally ill to be put to death, citing Awkal’s belief that the CIA was orchestrating his execution and that he played a crucial role in the country’s war on terrorism. The judge wrote: "Based upon an exhaustive review of all the evidence . . . Abdul Awkal presently lacks the capacity to form a rational understanding as to the reason the state intends to execute him." Awkal was sentenced to death in 1992 for the murder of his wife and brother-in-law. Originally, he was found incompetent to stand trial. (Associated Press, June 18, 2012). Under a deal between Acremant's defense attorneys and the Jackson County District Attorney, Acremant's death sentence was commuted to life in prison without parole unless new evidence shows that he feigned mental illness to avoid the death penalty. Acremant also faces a death sentence in California, which has not been commuted. (Mail Tribune, February 18, 2011). Superior Court Judge Orlando Hudson found that Stroud's incurable mental disorder made him mentally incompetent to assist counsel, and changed his sentence to life in prison without parole. (WRAL, February 18, 2011). LeGrande was scheduled to be executed in North Carolina on Dec. 1, 2006 and was issued a stay. A Stanly County Superior Court judge declared him mentally incompetent to be executed on July 1, 2008. Read the press release on the case from the Fair Trial Initiative. Governor John R. Kasich commuted the death sentence of John Jeffrey Eley to life in prison without the possibility of parole. Kasich stated that Eley, who is of limited mental capacity, acted under the direction of another man who was later acquitted. Without those factors it is doubtful that Eley would have committed this crime. Additionally, the former Mahoning County prosecutor who tried Eley’s case regretted the way the case was handled and its outcome, and had called for clemency. (Washington Post, July 10, 2012). Gov. Timothy Kaine commuted Percy Walton’s death sentence to life in prison without parole, citing his serious mental illness that rendered him incompetent to be executed. The governor said that Walton was not cognizant of his impending execution and the reason for it. Gov. Kaine had twice previously stayed Walton's execution in order to evaluate his mental condition and competency. The governor said that he also considered other factors such as his age at the time of the crime and evidence of "mental retardation." (Washington Post, June 10, 2008; Governor Kaine's statement of clemency, June 9, 2008). Granted by Gov. Roy Barnes. The Board of Pardons and Paroles voted to commute Williams's sentence to life without parole because he suffered from mental illness and was a juvenile at the time of the crime. Gov. James Gilmore noted that prison officials said Swann's behavior on death row had been "nothing short of bizarre and totally devoid of rationality." The prosecuting attorney said that he would not have sought the death penalty if life without parole had been available at the time. Gilmore noted that the jury had been misinformed about the degree of Swann's mental illness. (Wash. Post, May 3, 1999). UPDATE: Texas set an execution date of Dec. 3, 2014, for Panetti after the U.S. Supreme Court declined to review a lower court's ruling allowing his execution to go forward. The execution was stayed by the U.S. Court of Appeals to consider recently filed issues. EARLIER: Scott Panetti was scheduled to be executed on February 5, 2004 in Texas, but he was granted a 60-day stay on February 4, 2004. On January 5, 2007 the Supreme Court granted certiorari in his case. The Supreme Court ruled (5-4) on June 28, 2007, that Panetti deserves a rehearing on his claim of mental incompetence. The Court said the Fifth Circuit had used an overly restrictive definition of what constitutes insanity. The Court also said that the Texas state court failed to provide Panetti with the kind of review guaranteed under the Constitution for claims of mental incompetence. Amnesty International's report on Scott Panetti: "Where is the Compassion?" (Aug. 4, 2013) An editorial in the New York Times urged the U.S. Supreme Court to stop the execution of John Ferguson (see below), saying "a state is attempting to put to death a man who is clearly ineligible for execution under the Constitution." UPDATE: Ferguson was executed on Aug. 5. Florida has set a new execution date of Sept. 10 for Marshall Gore, another inmate with mental problems. (Aug. 2). Four mental health organizations have filed an amicus brief with the U.S. Supreme Court in an effort to stop the Aug. 5 execution of John Ferguson in Florida. Ferguson has suffered from severe mental illness for 40 years and believes he is the "Prince of God." Ron Honberg, the director of policy and legal affairs at the National Alliance on Mental Illness, one of the amici, said, "The death penalty is not constitutionally allowable as a punishment for John Ferguson because his delusions prevent him from understanding the nature of what is happening to him." The other organizations on the brief are NAMI Florida, the Florida Psychiatric Society, and the Florida Psychological Association. 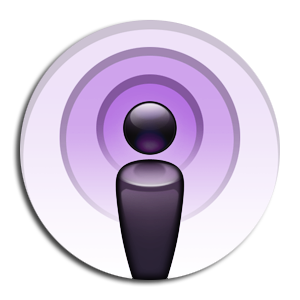 The Death Penalty Information Center is pleased to present this series of podcasts on capital punishment. This episode covers the definition of mental illness, Supreme Court rulings related to insanity, mental illness and intellectual disability, and examples of severely mentally ill inmates who have been executed. The American Bar Association passed Resolution 122A, exempting those with severe mental illness from the death penalty, on August 8, 2006. An almost identical resolution has been endorsed by the American Psychiatric Association, the American Psychological Association, and the National Alliance for the Mentally Ill.
(12/3/14). The U.S. Court of Appeals for the Fifth Circuit stayed the execution of Scott Panetti in order to review recently filed appeals. Scott Panetti's attorneys had petitioned the U.S. Supreme Court, asserting that the execution of inmates with severe mental illnes is contrary to current standards of decency. Panetti's execution date is Dec. 3. The Texas Board of Pardons and Paroles rejected his request for clemency.